Introducing the first Dance Stars - European Championships in association with Encore Weekend! 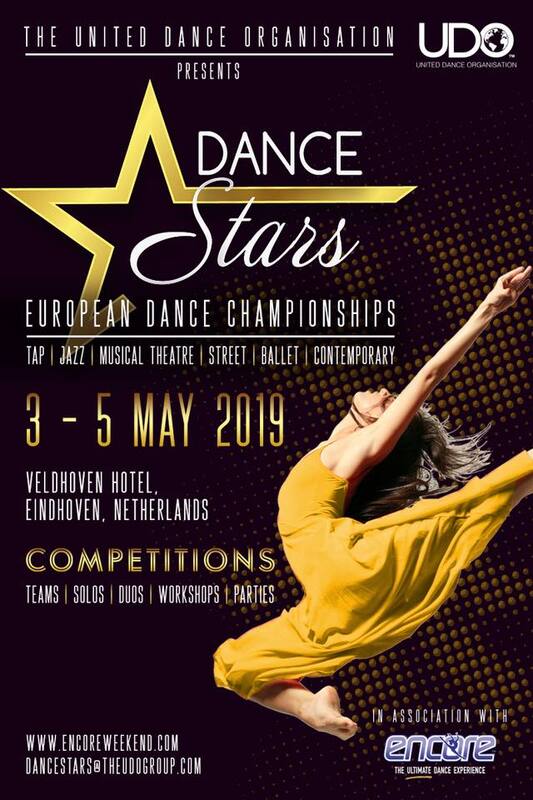 This spectacular two day event will see dancers all across Europe compete in tap, jazz, musical theatre, street, ballet and contemporary dance styles! Dancers can take part in solo, duo and team competitions. Come and display your talent & passion at a fun and family friendly event! Alongside the competitions, there will also be a variety of inspiring workshops held by our internationally renowned faculty .. and let's not forget to mention the parties! Could you be a European Dance Star? For every 10 dancer tickets purchased, a dance teacher goes free! The accommodation choice for the dance championships is the delightful NH Eindhoven Conference Centre in Veldhoven, the Netherlands.